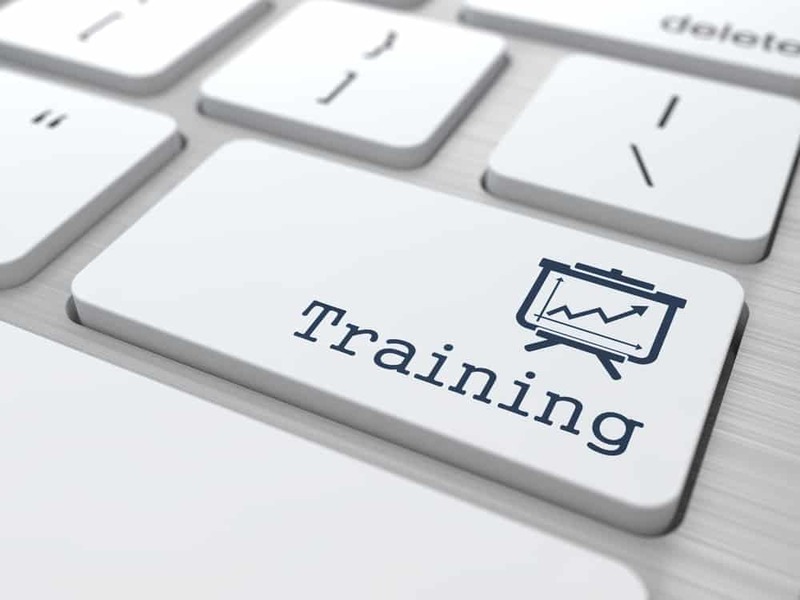 There's a trend happening in SEO and we're proud to support it fully, it's SEO Training Courses. Our Denver SEO Training course will have your company up to speed in no time with a fully immersive program built for companies to thrive even after we walk away. Yes, you heard me right. I'm going to teach you everything I've learned over the last 15 years in SEO without any geek speak and your smart go-getter marketing team or marketing person is going to be able to run with your SEO campaign and be extremely successful in the process. I've packed more than a decade and a half of SEO knowledge into my Denver SEO agency training course. I'm teaching you what I've learned as a Denver SEO strategist and how it can be applied to your specific situation. And I can do it all in one and a half power packed days. The reason that we can do it all in one and a half days is because soon you will have the online version of our SEO training to back up the in-person version. This way, anything that you've missed while going through the training process can be quickly recalled through our online training course. What Will Be Covered In The SEO Training Course? We will cover absolutely everything in our Denver SEO training course. When I say everything this means everything you will need to create a highly successful SEO campaign from scratch. We start at zero, meaning we show you how to build your website's foundation so that it can effectively communicate with the search engines. This means that we don't get into technical nuances in our course, like 301 redirects, building out specific social media profiles and things that we consider general web knowledge. What we do cover is SEO strategy from all aspects, including keyword research strategy, on-page SEO strategy and off-page SEO strategy. We will discuss the who, what and why of SEO from every aspect imaginable, covering strategies I guarantee you will not see in any other SEO course. I've built this course from scratch myself. It's based on more than 15,000 hours of technical SEO research and analysis. I've crunched that knowledge down into a bite size consumer facing presentation that is sure to impress. This is much more valuable than basic SEO training that's offered by most providers. While the three bullet points above may not seem like a lot, it's an incredible amount of information packed into these points. In the keyword research module I'll teach you everything from what keyword tools to use and why to understanding and categorizing user intent to determining R.O.I. on SEO. In the on-page SEO module I'll teach you everything from matching stimulus for the search to how to build out the most effective website structure to UX, the most important on-page factors and much more. In the off-page SEO module I'll be teaching you about what publisher metrics to look for, content marketing strategy, competitive link building, how to link, how to easily get powerful links and tactical SEO. This course in itself is extremely powerful and will take your SEO knowledge past what any course currently teaches. If you want to learn the most advanced tactics for growing your organic search presence through serious search engine optimization then I'm the Denver SEO expert that will help you take your business to that next level. I will personally walk you through the most advanced and most complete SEO training available in Denver. Well, how much hand holding do you want? We typically like to come in for one and a half days and then set you up with our online training for a flat cost of $1795, this includes up to 3 participants. If you have more than three participants from your company then you can contact us for more details. The benefit of having the online training to back it up is that you will not have to call me with questions unless you absolutely must talk to someone for help. I'm always happy to setup a time for a consultation as well. My goal is for you to be able to walk away from a day in my training program as close to an SEO expert as possible. My second goal would be for you to follow up your in-house training with our online training program so that you can become a full blown SEO expert. I firmly believe that a highly capable person can walk away from a day and a half of my training, use my online SEO training as backup and run a highly successful SEO campaign for their company. This is exactly what I've designed my SEO training program to do. If you have any questions about our training program or would like to setup an appointment to talk with me about your SEO campaign and to see if our training is right for you then just hit that blue button below. I'll see you on the other side.